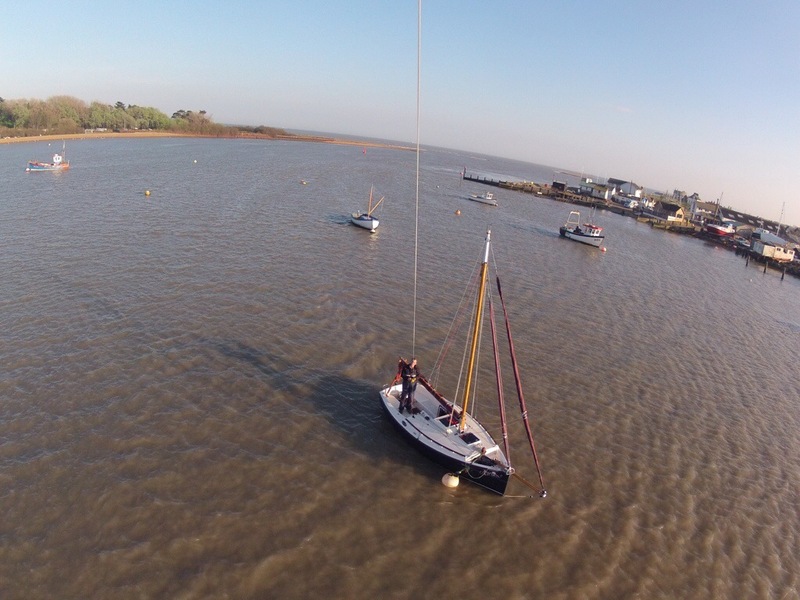 Whilst moored on the Deben, I had a chance to try out my improvements to the kite-cam rig for aerial photography with my gopro. 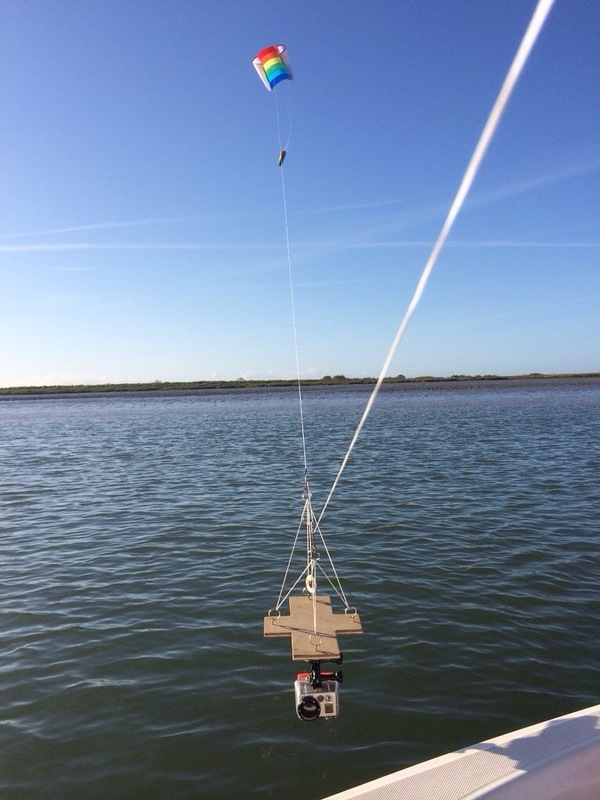 I have added pulleys and used a longer picavet cradle, in order to better damp the oscillation of the kite. I am getting better at aiming the camera and I’m pleased with the stability improvements. For those who have asked, here are some shots of the rig I used today. This is my first attempt at filming the boat with my kite aerial photography rig. The footage is quite shaky and I need to improve the stability of huge rig before I attempt to film a moving boat. Not bad for a first attempt. 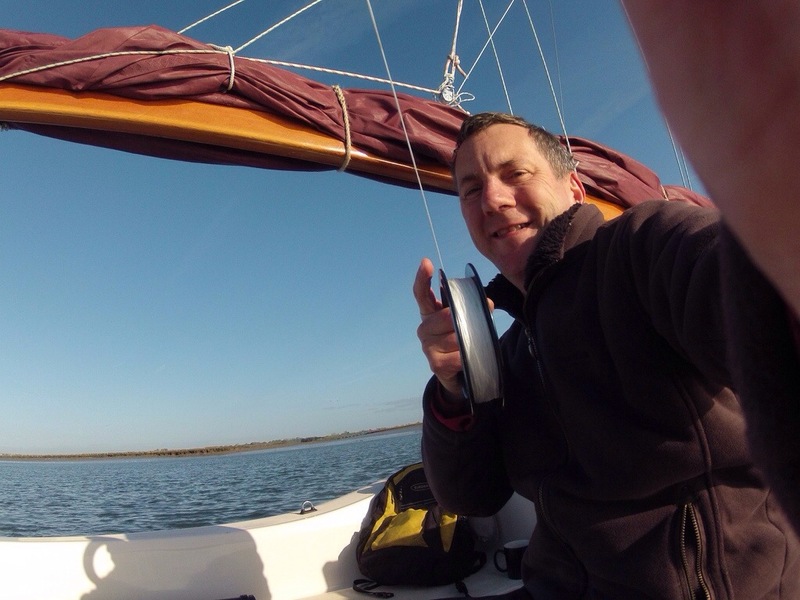 Filmed while on a mooring in Felixstowe Ferry, Suffolk. You can clearly see the strong ebbing tide flowing under the boat; the log was reporting 1.8kts. 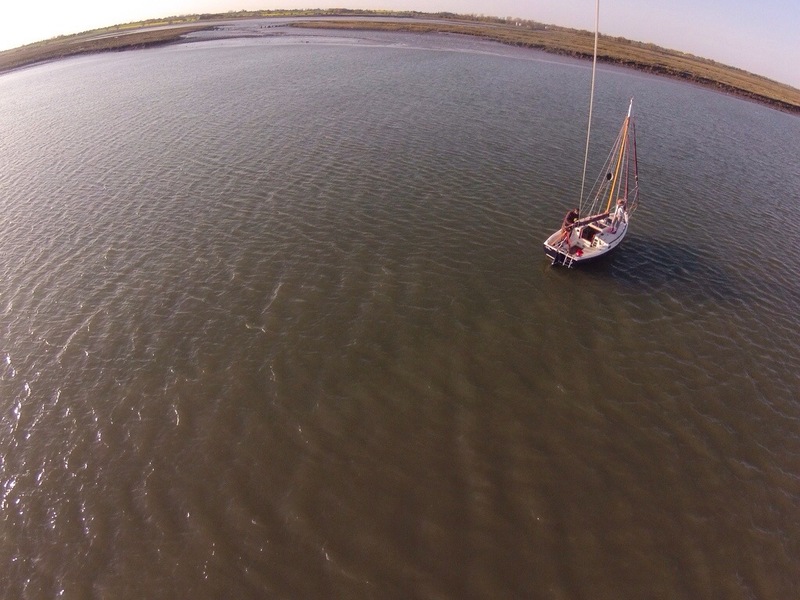 I have an ongoing project to film my boat from the air using a kite. I already have a gopro camera, which is small, light and waterproof. 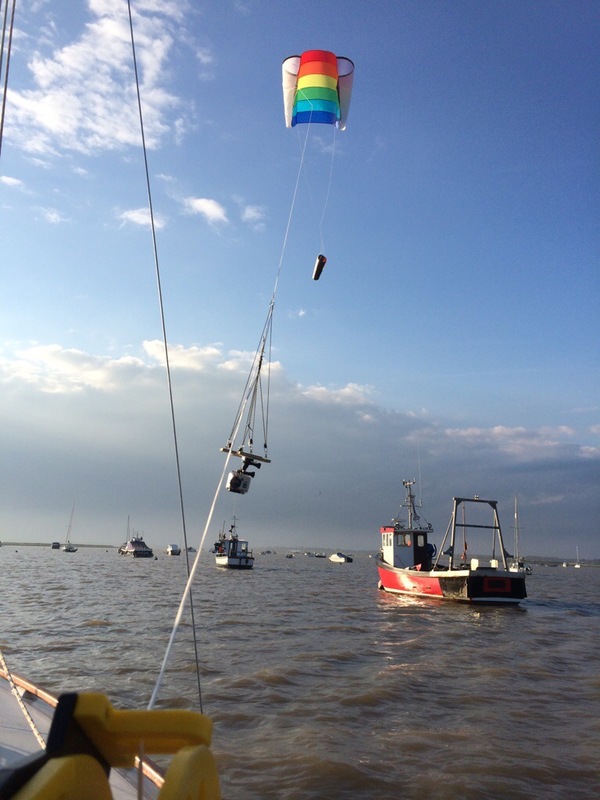 After some research, a single-string “sled” kite seemed best; I use a 1.5m one with a drogue tail (which makes it more stable). After a few tries, it became clear that being able to run the kite back in would be important, so I am experimenting with using a diving reel. 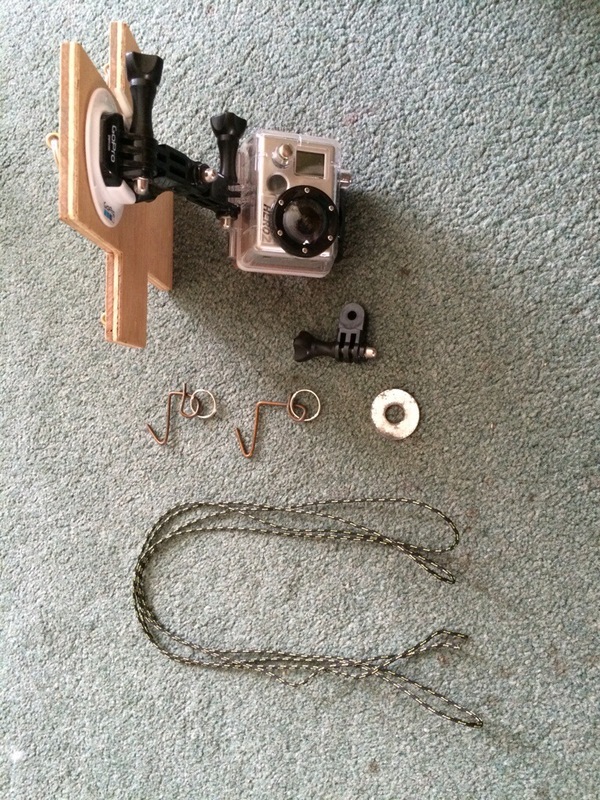 The final piece of the jigsaw is how to mount the camera to the kite. 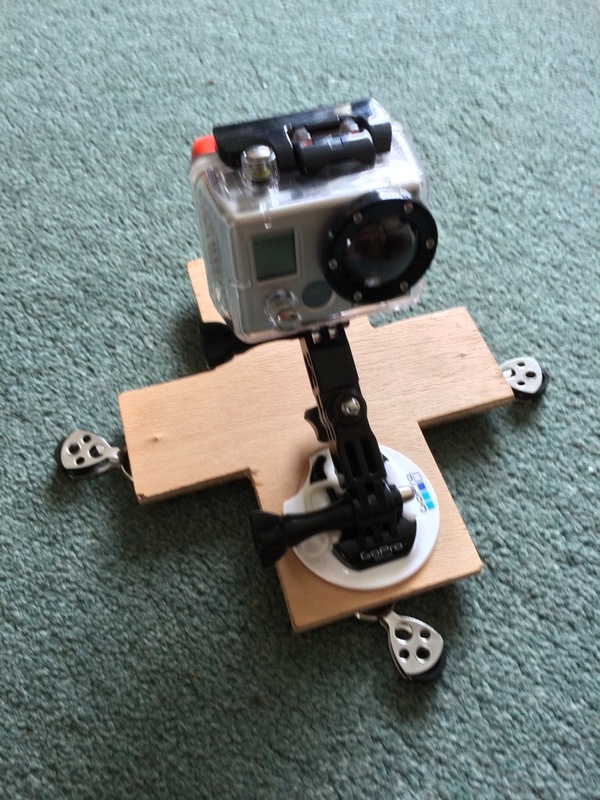 Since this is a low-cost project (otherwise I would be using a remote controlled drone! ), I decided to make my own mount. After some googling, I found an old design called a “picavet”, originally used over 100 years ago, which is quite easy to construct. It is very easy to attach to the kite string (one-handed if necessary) and holds the camera level. The mark 1 version works well enough, but does not suppress vibration very well, so is acceptable for stills photography but not much good for video filming. I may modify it to make a mark 2 version using pulleys, so it runs more smoothly.